What is the main domestic legislation as regards trade remedies? the World Trade Organization (WTO) Agreements. In general terms what is your country’s attitude to international trade? Chile has been widely recognised as one of the global leaders in economic freedom (see www.heritage.org/index/country/chile). 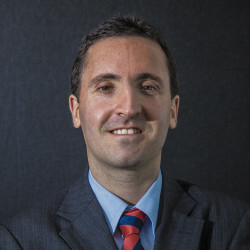 Its strong commitment to trade liberalisation led Chile to unilaterally reduce its tariffs to a flat 6 per cent, and to the signature of numerous trade agreements with most of its trade partners, which has lowered the average tariff to 1.8 per cent; it expects to reduce it even more over the next decade. Chile has recently joined the Pacific Alliance and is part of the negotiation of the Trans-Pacific Partnership (TPP). It was the first South American country to join the Organisation for Economic Co-operation and Development (OECD). Chile’s strict compliance with the rule of law and respect for international agreements is well known, which accounts for the country’s impeccable track record on compliance with WTO decisions; see www.wto.org/english/thewto_e/countries_e/chile_e.htm. Which authority or authorities conduct trade defence investigations and impose trade remedies in your jurisdiction? The National Commission for Investigation of Price Distortions in Imported Merchandise (Commission of Price Distortions): www.cndp.cl. What is the procedure for domestic industry to start a trade remedies case in your jurisdiction? Can the regulator start an investigation ex officio? The procedure can be initiated by complaint for those affected by dumping or subsidies, or by request for those affected by safeguards. Complaints about dumping or subsidies should be submitted by the industry of domestic production, whose collective production represents more than 50 per cent of the total production of the similar product. Requests for safeguard should be submitted by the industry of domestic production affected by serious injury or threat thereof; that is, all producers of similar or directly competitive products in the country, or those whose collective production of similar or directly competitive products constitutes a major proportion of the total domestic production. Ex officio initiation of the investigation by the Commission takes place only in exceptional cases, when it has the background to justify it. In practice, this is very rare. an increase of imports (in case of safeguards) and how it causes or threatens to cause damage to the similar or directly competitive domestic production. The Commission reviews the evidence and determines whether there is sufficient merit to initiate an investigation. If declared admissible, the resolution is published in abstract in the Official Gazette. If declared inadmissible, the decision is notified by registered letter to the complainant. Initiation of the investigation starts when the resolution is published in the Official Gazette. Investigations of dumping and subsidies must be concluded within one year, and in any event within 18 months, except in exceptional circumstances. For investigations of safeguard, the Commission must decide within 90 days. to the countries with which Chile has signed trade agreements. Once notified of the initiation of the investigation, the Commission makes available the text of the complaint to all interested parties involved. During the course of the investigation, the Commission may require additional information from the complainant or petitioner, and other interested parties. The Commission also sends questionnaires to interested parties for comment on the case. Any information that is confidential is protected by the Commission if there is sufficient justification. Such information is not disclosed without the specific permission of the party that has provided it. Interested parties have the right to present information orally, for which public hearings are held where they present their arguments, offer their opinions and pronounce on the information provided by the other parties involved in the investigation. However, any information given orally must be submitted in writing and made available to other interested parties. As regards on-site visits, during investigations of dumping or subsidies the Commission may carry out investigations in a foreign territory to verify information provided or to obtain further details. The Secretariat prepares a technical report based on the information collected, which is confidential and which provides the necessary elements for the Commission’s decision regarding the existence of price distortions or increased imports and how they affect domestic production. During the investigation, the Commission can recommend to the President of the Republic, through the Minister of Finance, the application of provisional measures. These measures are implemented through the enactment of a Presidential Decree. Anti-dumping and countervailing duties must be implemented 60 days from the date of initiation of the investigation, and they cannot exceed four months, or six months in qualified cases. Safeguard measures must be implemented within the first 30 days from the start of the investigation and they cannot exceed 200 days. the application of a definitive measure: the recommendation and its background are sent to the President of the Republic, through the Minister of Finance, for a decision. The President enacts a presidential decree instructing the implementation of the recommended measure. Anti-dumping and countervailing duties cannot exceed one year from the publication of the presidential decree in the Official Gazette. Furthermore, the recommended measure cannot exceed the margin of distortion. Safeguard measures cannot exceed two years from the publication of the presidential decree in the Official Gazette, if there were no provisional measures. If provisional measures were applied during the investigation, the period of two years is counted from the date of publication of the decree. It is renewable for a maximum of two years. What is the procedure for foreign exporters to defend a trade remedies case in your jurisdiction? The same procedure described above applies to foreign exporters. Investigations considered admissible are published in the Official Gazette and normally the Commission notifies exporters that have been identified. Are the WTO rules on trade remedies applied in national law? Yes. WTO rules on trade remedies are applied in national law, as Chile is an active WTO member. Chilean trade remedy legislation makes express reference to WTO legislation and makes it applicable in the cases and under the conditions established in such domestic legislation. What is the appeal procedure for an unfavourable trade remedies decision? Is appeal available for all decisions? How likely is an appeal to succeed? There is no specific appeal procedure against trade remedy decisions, so the general regulation applies, according to which the affected party has the following options. Administrative appeal is a claim before the same agency (Commission of Price Distortions) within five days following its publication. The agency has 30 days to resolve it. The action may consider legal or policy issues. Hierarchic appeal is a similar claim, but it is submitted before the head of the agency. In this particular case, it would be the Minister of Economy. Presentation to the Comptroller General of the Republic can be made by anyone before the controller entity in order to discuss the legality of a resolution. It is a short procedure in which the Comptroller requests information of the affected agencies and makes a decision. Appeal for nullity of public law is an action before a civil judge (ordinary courts of justice). The trial will follow the rules of the general procedure; therefore, it is a long process that could take years. However, the plaintiffs may ask for precautionary measures in order to avoid the effects of the contended act. The argument for the claim in this case would be an administrative act against the Constitution; therefore, it is just a legal claim and not a policy issue. Even though, theoretically, there is no statute of limitation for this action, the courts have said that the general rules should be applicable; hence, there is a five-year statute of limitation. Protection appeal is a claim before a Court of Appeals for a breach of some of the constitutional rights established in article 19 of the Constitution. The claim must be filed within 30 days of the announcement of the administrative act. This a simple and short procedure where the court decides after receiving the report of the affected agency. All of the above-mentioned actions (except for that before the Comptroller General) require an affected right or a legitimate interest of the plaintiff (usually steered and represented by Members of Parliament, but in fact anyone could file these actions). How and when can an affected party seek a review of the duty or quota? What is the procedure and time frame for obtaining a refund of overcharged duties? Can interest be claimed? If, after an investigation, the authority does not recommend the application of definitive measures, the affected party may seek reimbursement of any provisional measures paid, with interest. What are the practical strategies for complying with an anti-dumping/countervailing/safeguard duty or quota? 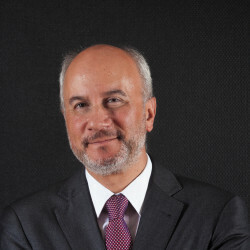 The strategy will depend on each case, but generally, seeking reviews and refunds of overcharged duties is a path that should be considered, as Chilean courts apply the rule of law and will decide in favour of whoever can support a case in sufficient fashion, even if the decision goes against the Chilean state. Where are normal customs duty rates for your jurisdiction listed? Is there an exemption for low-value shipments? If so, at what level? Is there a binding tariff information system or similar in place? Are there prior notification requirements for imports? Customs duty rates are listed in the Customs Tariff (www.aduana.cl/arancel-aduanero-vigente/aduana/2016-12-30/090118.html), which constitutes a binding tariff information system. There are no exemptions for low-value shipments except for non-commercial goods purchased in duty-free shops (up to US$500) and travellers’ luggage. There are no requirements of prior notice. However, qualified goods such as chemicals, weapons, animals and others require prior control for their importation: www.aduana.cl/importaciones-de-productos/aduana/2007-02-28/161116.html. Where are special tariff rates, such as under free trade agreements or preferential tariffs, and countries that are given preference listed? Special tariff rates are listed in the Customs Tariff and in free trade or other commercial agreements signed by Chile: www.direcon.gob.cl/acuerdos-comerciales/. Additionally, in 2013, the Chilean Congress passed a law for the elimination of duties for the Least Developed Countries: www.aduana.cl/ley-20-690-eliminacion-aranceles-a-los-pma/aduana/2014-03-07/092144.html. How can GSP treatment for a product be obtained or removed? There is no generalised system of preferences. Preferential treatment is granted based on the product and its origin, following the trade agreements to which Chile is a party. Is there a duty suspension regime in place? How can duty suspension be obtained? There is a specific regime of admission under which goods may be kept in special facilities, upon prior authorisation by Customs Authority, for up to 90 days. No duties are paid until goods are taken out of the facility. An interest rate is charged in addition to the duties if the goods are kept for more than 30 days. On the other hand, regulation allows for temporary admission in which no customs duties or reduced rate duties are paid during a specific period. After that period, if the goods have not been re-exported, full duties shall be paid. Additionally, importers who obtain AEO certification by the Customs Authority, and medium and small companies (ie, S corporations) who import goods that have not previously been subject to suspensive regimes provided for by law, and that meet certain legal requirements may withdraw foreign goods that are kept in customs storage facilities for their import, without prior payment of duties, taxes, fees and other charges they may cause, except for the payment of storage and mobilisation services. However, such importers must provide an immediate execution bank cheque or insurance policy or an equivalent as a guarantee, in order to ensure the payment of duties, taxes and other charges, and any eventual adjustments and interest that may be accrued. In case the payment is not made within the legal term, said guarantee will be made effective until full payment of the duties, taxes and other charges due, including any adjustments and interests. Also, foreign goods may be subject to customs deposit destination, for a period of one year, without prior payment of duties and other charges caused by their import, and must be subject to minor processes such as assembling, packaging, finishing, ironing, bagging, packaging or labelling. The requirements and guarantees that the interested parties must fulfil in order to authorise the referred destination will be established by supreme decree. Where can customs decisions be challenged in your jurisdiction? What are the procedures? There are two main options to challenge customs decisions in Chile. The first is to submit a claim before the same authority within 15 days of its decision. The authority has 30 days to decide the claim. The second option is to file a lawsuit before the Tax and Customs courts within 90 days of the customs decision. The procedure is similar to a trial, in which the authority has to present its defences and there will be a period to present and discuss evidence (including witnesses), and the final decision of the court may be challenged before a court of appeal and then, if applicable, before the Supreme Court. What government office handles complaints from domestic exporters against foreign trade barriers at the WTO or under other agreements? The Directorate General of International Economic Relations (Direcon) (www.direcon.gob.cl/la-institucion/), which is under the Ministry of Foreign Affairs. What is the procedure for filing a complaint against a foreign trade barrier? There is no formal investigation process for such complaints. What will the authority consider when deciding whether to begin an investigation? The authority addressing a complaint will likely take into consideration the complaint’s merits and the evidence presented to substantiate it, the interests of other Chilean importers or exporters, the broader political relationship between Chile and the country or territory in question, and the remedies available to address the barrier. What measures outside the WTO may the authority unilaterally take against a foreign trade barrier? In the event of acts, policies or practices of the government of a country that adversely affect, or lead directly or indirectly to adverse effects on, trade in goods or services of Chile, the government may take measures including suspension or withdrawal of statutory rights or privileges granted to that country or imposition of a surtax on its goods. In the event that it is not possible to agree on proper compensation with a country that has applied a safeguard measure, Law 18,525 authorises the President of the Republic to apply additional duties applicable to goods exported from the other country. What support does the government expect from the private sector to bring a WTO case? Any assistance that reduces the government’s cost in proceeding with the case is likely to be welcome. The government will expect affected domestic private sector interests to provide relevant economic data and other evidentiary material that will substantiate the complaint. Assistance from qualified private sector counsel and experts in preparing and reviewing arguments and obtaining and reviewing evidence may have a bearing on whether the government proceeds with the case. What notable trade barriers other than retaliatory measures does your country impose on imports? Chile imposes strict sanitary and phytosanitary controls, mainly to protect Chilean agriculture. Chile maintains a price band system for wheat, wheat flour and sugar that, under several FTAs and following a WTO panel loss against Argentina, will be phased out for imports. Mixtures containing more than 65 per cent sugar content, such as high fructose corn syrup, are subject to the sugar price band system. The price band system guarantees a minimum and maximum import price for the affected products, adding a special tax to the tariff rate to raise the price to the minimum price. The government sets a minimum import price that is normally higher than both international and Chilean domestic prices. Since 2008, the minimum price has been adjusted downward by 2 per cent per year. The export or import process requires every company operating in the country to contract the services of a customs agent. The customs agent is the link between the exporter or importer and the National Customs Service. The customs agent’s mission is to facilitate foreign trade operations and to act as the official representative of the exporter or importer in the country. Customs agents’ fees are not standardised. This is an extra cost borne by non-Chilean companies operating in the country. However, companies established in any of the Chilean duty-free zones are exempt from the obligation to use a customs agent when importing or exporting goods. What general controls are imposed on exports? The documentation required for exporting from Chile is the single export document (DUS), the bill of lading (or airway bill) and the commercial invoice (unless the export is not for commercial purposes and the value of the goods is less than US$2,000 free on board; or unless a pro forma is applicable). Specific goods, such as food, fruit and minerals, have specific certifications and requirements related to weight. Exports are not subject to duties or taxes. Which authorities handle the controls? The Customs Service is the main authority. Moreover, the customs agent (the equivalent to the customs broker) is an auxiliary of the authority, and therefore has some faculties to control. Furthermore, there are goods that require a licence and their exportation is controlled by the following public agencies: the Agricultural and Livestock Service (www.sag.cl), the Public Health Institute (www.ispch.cl) and the National Fisheries Service (www.sernapesca.cl). Additionally, the Customs National Director, at the request of interested parties, may certify persons as authorised economic operators (AEOs) who may act in the foreign trade logistics chain in order to access the benefits related to the control and simplification of customs processes, according to their role in the chain. A regulation will establish the activities that can be considered for the referred certification. In the case of import and export destinations, the Customs Authority may certify persons for the purpose of assisting in the determination of weight and moisture content, sample collection, preparation of representative samples, measurement, calibration, chemical analysis and others factors to be determined by resolution of the Customs National Director. In both of the cases mentioned above, a regulation will establish the requirements and obligations of the people who access said certifications. Are separate controls imposed on specific products? Is a licence required to export such products? Weapons, related goods and ‘dual-use’ equipment are subject to a special regime controlled by the General Directorate for National Mobilisation. Anyone interested in exporting must be previously registered in a Registry of Exporters and exports shall be authorised by the General Directorate for National Mobilisation. Has your jurisdiction implemented the WCO’s SAFE Framework of Standards? Does it have an AEO programme or similar? Chile is part of the WCO’s SAFE Framework of Standards. An amendment to the Chilean Customs Ordinance that came into force in March 2017 incorporates the AEO programme into the Chilean legal system as a definitive measure, and Decree No. 1140 of the Ministry of Finance has regulated the programme in detail. The AEO programme will allow companies to prove that their processes are safe and that their controls and procedures guarantee compliance with customs regulations, leading to improvements in the efficiency of clearance processes, reduction of times, costs and losses in production, and predictability of the supply chain. Where is information on countries subject to export controls listed? There is no list of countries subject to export controls. There is a list of countries considered as tax havens or harmful preferential tax regimes (www.leychile.cl/Navegar?idNorma=218210), but this is only for tax purposes. Does your jurisdiction have a scheme restricting or banning exports to named persons and institutions abroad? There are no restrictions or bans on exports based on the person or institution abroad. What are the possible penalties for violation of export controls? The export of banned products, tax evasion or exporting through illegally authorised facilities or not through the Customs Service are punishable under smuggling or fraud legislation. Sanctions will depend on the value of goods. If it is more than approximately US$1,650, sanctions range from one to five times the goods’ value or from 60 days to three years of prison. If the value is less than approximately US$1,650, sanctions range from one to five times the goods’ value. There are other sanctions established for offences or infringements corresponding to penalties from approximately US$65 or a determined percentage of the imported goods’ value. What government offices impose sanctions and embargoes? There are no sanctions or embargoes in place, but the President of the Republic would be enabled to impose such measures. What countries are currently the subject of sanctions or embargoes by your country? There are no countries subject to sanctions or embargoes. Are individuals or specific companies subject to financial sanctions? There are no individuals or companies subject to financial sanctions. Describe any trade remedy measures, import or export controls not covered above that are particular to your jurisdiction. Chile has recently executed the Comprehensive and Progressive Agreement for Trans-Pacific Partnership (CPTPP), which includes Australia, Brunei Darussalam, Canada, Chile, Malaysia, Mexico, Japan, New Zealand, Peru, Singapore and Vietnam. This important agreement needs to be approved by the Congress to enter into effect. The CPTPP is the result of the negotiations between the parties of the Trans-Pacific Partnership (TPP) after the withdrawal of the US. Therefore, the CPTPP has the same goals of integration and modernisation, but nonetheless 20 sections were suspended (most of them related to the intellectual property chapter, pushed by the US). The CPTPP addresses several topics, such as trade facilitation, trade defences, trade of goods and services, public procurement, competition, environmental commitments, transparency and anti-corruption rules, and dispute resolution clauses, among others. Brexit should not affect Chile severely, because exports from Chile to the UK represent only 1 per cent of Chile’s exports. However, it may have a limited impact on some sensitive industries, such as the wine industry. Nevertheless, Brexit processes should give enough time for the industry to adapt to the new scenario, considering that it may take more than two years. Finally, Chile and the UK initiated conversations last year in order to foresee possible scenarios to maintain or improve trade conditions between them. The law firm Porzio Rios Garcia was founded, in 1993, as Porzio, Ríos & Asociados, beginning its activities mainly in the intellectual property field.